If you started a diet on Monday, chances are that you’ll give up by Friday p.m., according to a new survey that found two out of five dieters in the UK quit within the first seven days. So, why do so many dieters throw in the towel so soon, especially since research also shows that the only way to long-term diet success is how well you are sticking to your healthy eating plan. There are oodles of reasons why popular diets rarely lead to long-term weight loss success. That’s why most dietitians, like us, recommend a non-diet approach to losing lbs. Here are 10 tricks to boost the stick-with-it-ness of your healthy eating plan (aka diet). 1. Skimp on liquid calories. Because they provide essentially no satiety value whatsoever, those calories are essentially wasted. I also eat a higher protein diet and focus on the most filling foods (ones that provide the biggest volume or serving size for the calories) to help manage my hunger. 2. Make the healthy choice the easiest choice. A big part of eating right is having the healthiest foods easily accessible. Having a fruit bowl on the counter, making sure your fridge and pantry is well stocked and keep the best choices at eye level. Be sure to put any trigger foods or treats in less obvious places. Out of sight, out of mind. 3. Avoid–or limit–alcohol. Alcohol stimulates your hunger, while decreasing any willpower or inhibitions you may have to say, a pint of Haagen-Dazs or a gooey brownie. That’s a double-punch that I don’t want to fight. Drinking alcohol is a behavior that has been found to be more diet-destructive than eating out a lot or watching hours of TV every day! 4. Avoid exercise fat traps. I’ve learned the hard way through 20+ years of being super athletic that I can’t eat whatever just because I work out a ton. It just doesn’t add up. The calories you eat far exceed what you can burn off with exercise and working out also sparks hunger, making it even harder to not want to eat more. 5. Eat your meals, don’t skip them. For me, breakfast has become my second largest meal, after dinner, because of point number 5. 6. Don’t eat after dinner. I’ve followed this rule for about 5 years now and have never missed nighttime snacking. I normally eat dinner around 6:30 pm and go to bed around 9:30 pm. Nighttime noshers add hundreds of generally junk calories to their diet, making it hard to lose weight. 7. Set up goals. Make weekly and monthly goals to stay motivated and keep on track. Make your goals related to eating well or being physical and not about what the scale says. 8. Reward your accomplishments. Whenever you achieve a goal–not matter how small–give yourself a pat on the back. I often reward myself with something like exercise apparel, a mani-pedi or a mini treat, like a sweet soy latte. 9. Try to eat the same –weekdays, weekends and even on holidays. Research shows that individuals who eat the same way all week long and generally the same on vacations on holidays, are 1.5 times more likely to maintain their weight loss, compared to those who regularly take “holidays” from healthy eating. 10. Small changes equal big results. Don’t bite off more than you can chew–if you want to achieve and maintain a healthy weight for life. Think about the small things you can change in your behaviors that will add minutes to your daily activity or subtract calories from your diet. Simple swaps like using lettuce in place of a bun, enjoying a vegetarian meal once a week, not eating seconds and having more produce as snacks are relatively easy changes that can equal great success. We find that most people don’t have to completely overhaul their diet to be successful in winning at losing: often, a few small changes to your daily food choices, lifestyle, and other habits, you can wind up losing weight once and for all. 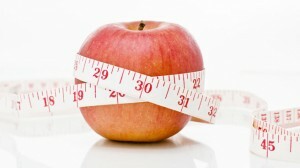 Here are three great articles on a non-diet approach to losing weight that work!